Yesterday we saw the new LG Optimus 2X Android smartphone, and now the guys over at Phandroid have managed to get some photos of a new Android smartphone from LG which will go on sale next year, the LG B. 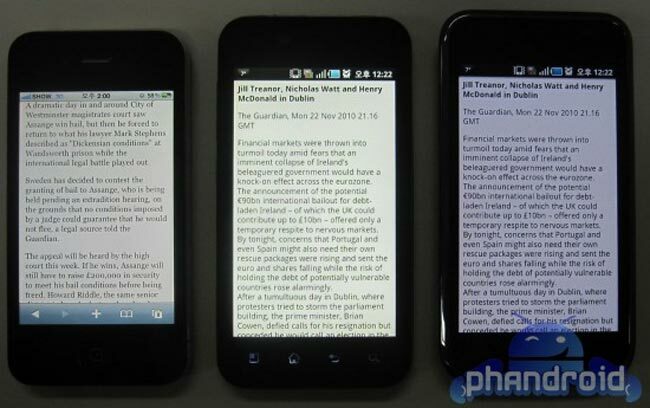 According to Phandroid, the LG B if featured in the picture below (middle) next to an iPhone 4, and a Samsung Galaxy S, which gives us a good idea of the LG B’s size. It looks like the LG B will feature a 4 inch IPS LCD display, unfortunately those are the only specifications we know so far, but you can check out lots more photos of the LG B over at Phandroid.